Maya Angelou once said, “People will forget what you said, people will forget what you did, but people will never forget how you made them feel.” And, that exactly what experiential marketing is: providing an experience that causes the consumer to identify with the brand in a special way, establishing recognition and increasing the likelihood of a conversion. Lean Cuisine shook up Grand Central with their #WeightThis Experiential Activation. Google hit the streets with interactive digital posters allowing pedestrians to vote on their campaign at bus stops. Experiential marketing is redefining what it means to reach an audience. In addition to traditional print or digital marketing efforts, companies are turning the corner and creating campaigns that meet their audience where they are in real time. The trick to experiential marketing is much simpler than using expensive gimmicks or grandiose ideas. Experiential marketing is exactly what it claims to be, an experience. When it comes to experiential marketing, DEVENEY’s interaction of choice is simple. 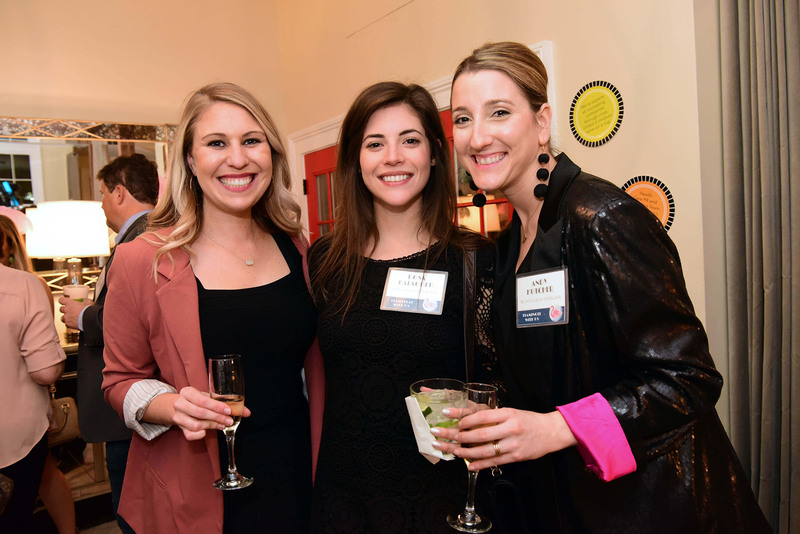 Known for liking a good party, we used our 21st anniversary as an opportunity to market our offerings as an engagement agency. Power points and social media posts may catch your eye, but showgirls will make you stop, and Crawfish Au Gratin will make you stay a while. Using the party to draw in the audience, DEVENEY capitalized the opportunity to invoke a euphoric experience, complete with a buffet of seafood martinis, a gumbo bar and a signature cocktail shooter served through an ice luge. The results were impressive, to say the least. Those in attendance not only enjoyed the opulence but also were able to take note at the foresight and planning that the company accomplished and flawlessly executed. They saw the attention to detail and genuine investment in engagement. 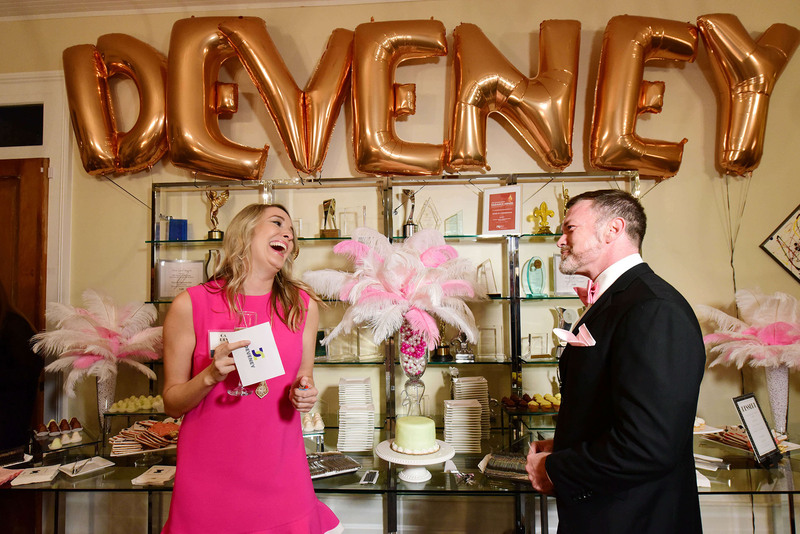 As an engagement agency, DEVENEY spoke volumes through the seemingly ordinary execution of a wonderful party. Other businesses have the same opportunity. A smaller company has innumerable opportunities to leverage this kind of outreach, many times using a familiar interface. By using intent around messaging, standard interactions can be transformed into an entire marketed experience for the consumer. 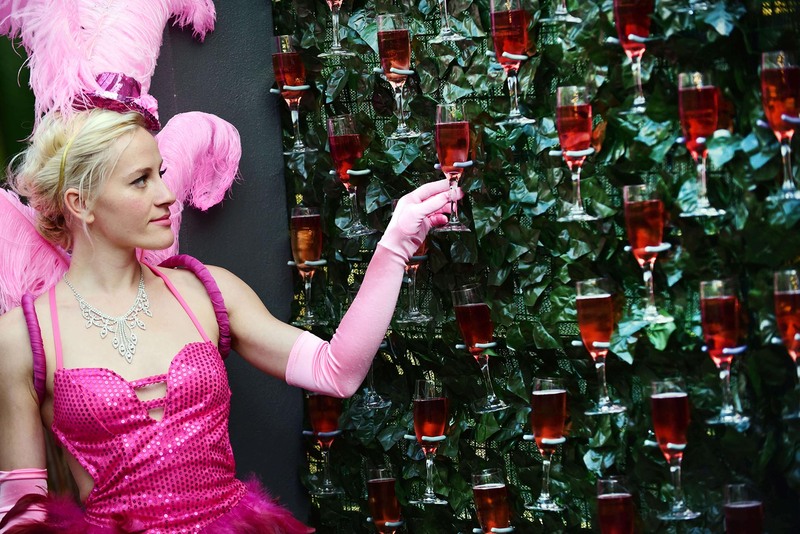 DEVENEY’s 21st Flamingo Royale Birthday Bash is a great example for those who are looking to interact with their audience in an experiential way. For DEVENEY, the past 21 years have certainly been an experience, and we thank everyone who celebrated 21 with us. But more importantly, we appreciate everyone that has been there for our growth and transformation into the engagement agency that we are today.